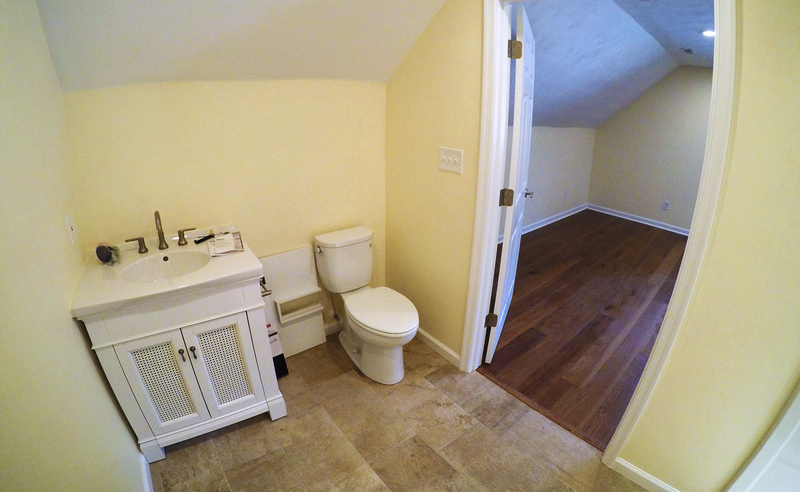 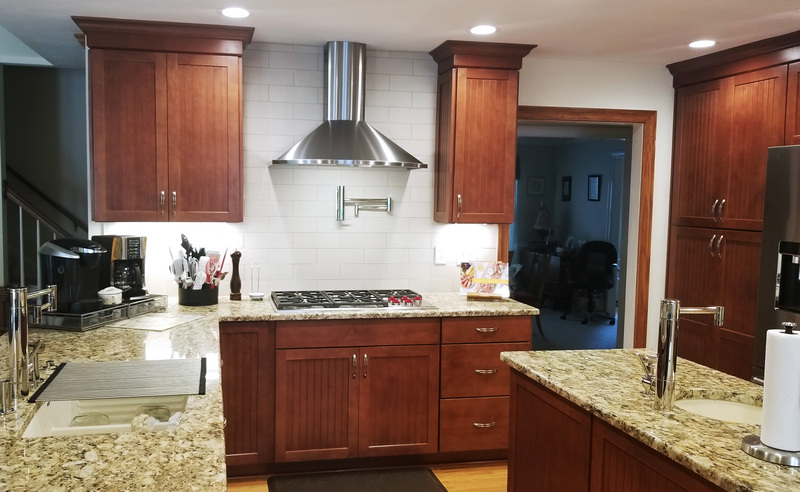 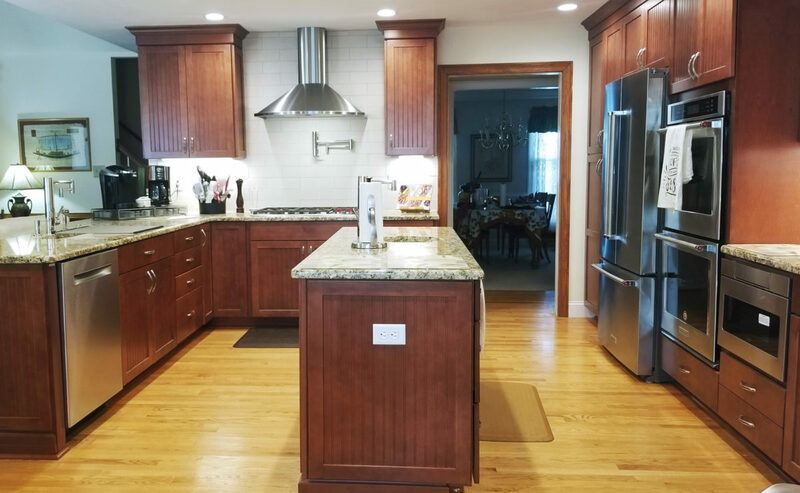 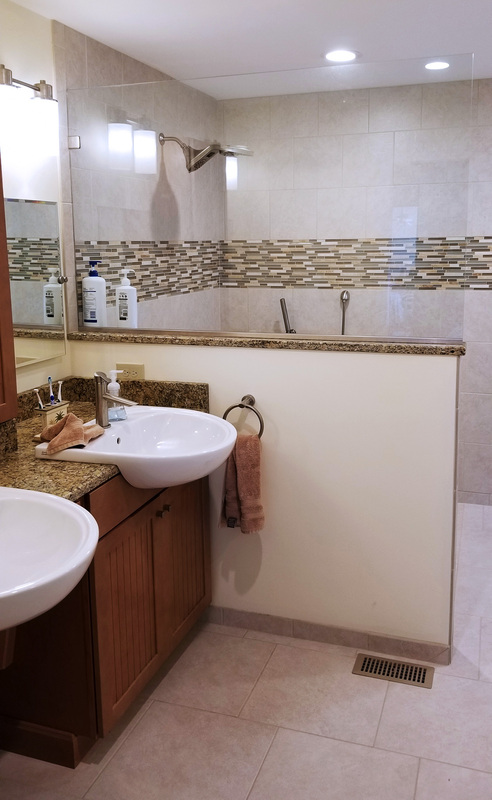 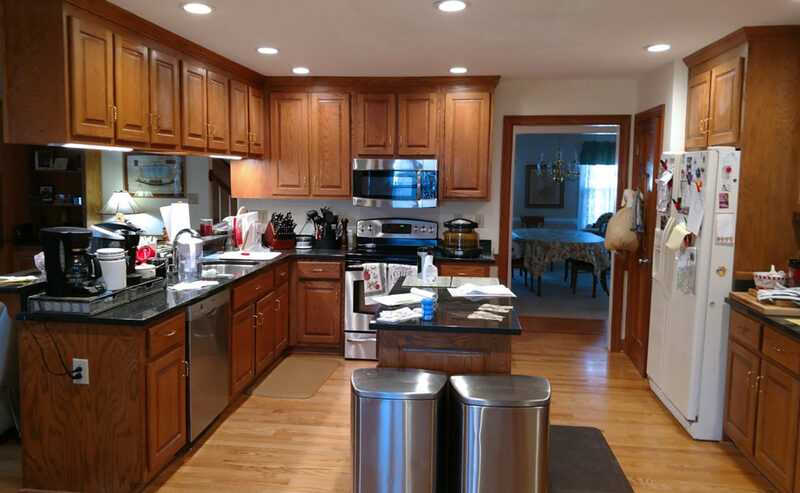 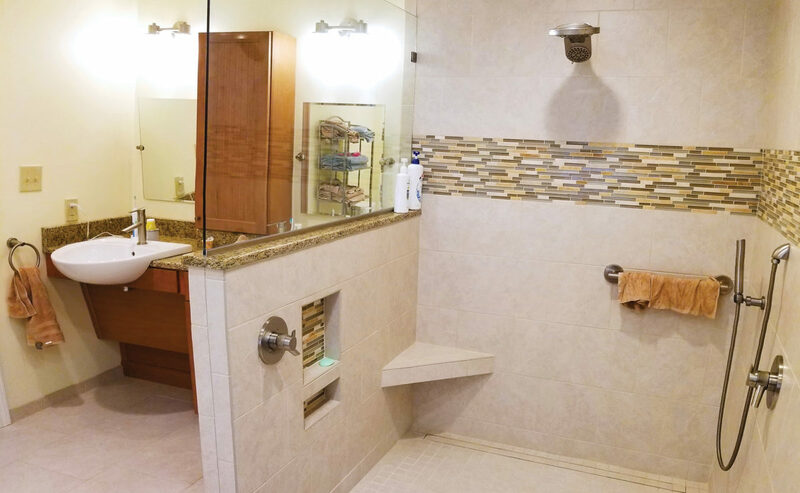 We worked closely with the Ludwigs to renovate their home into one in which they could grow old, remodeling their master bathroom, kitchen, deck, and a two-story garage addition with a second-floor apartment. 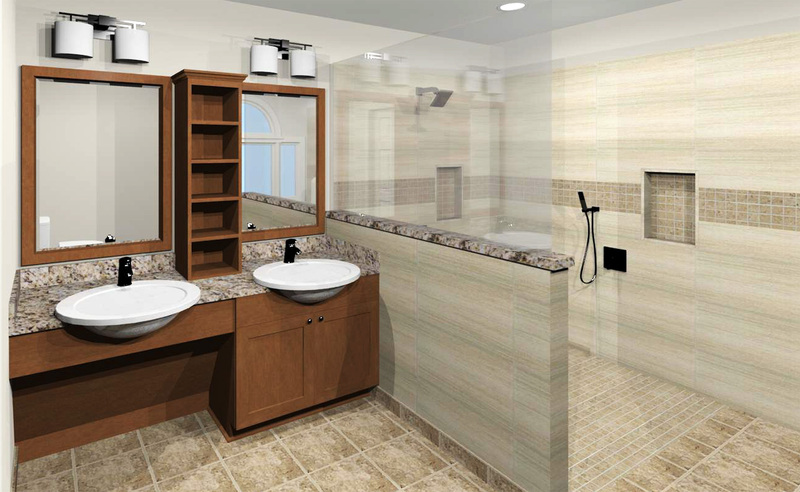 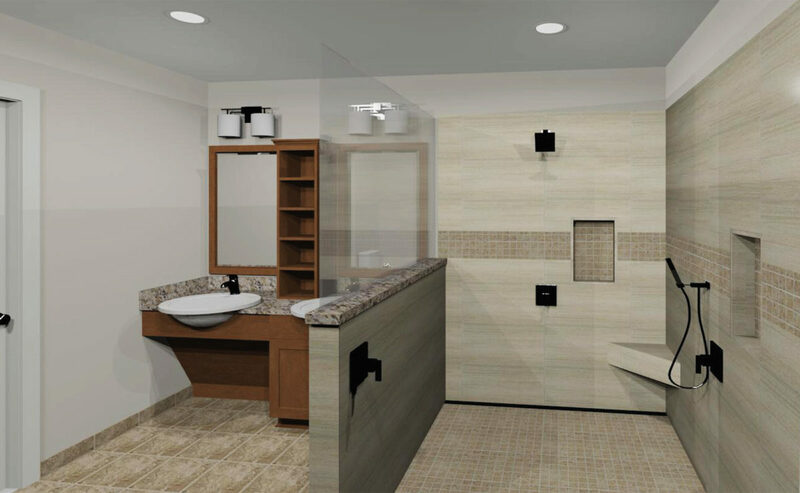 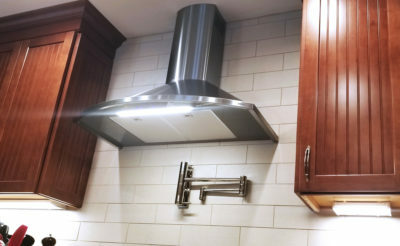 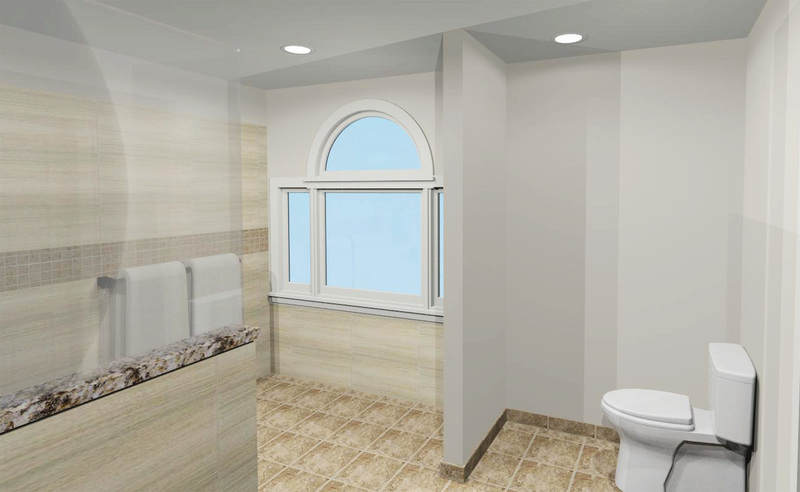 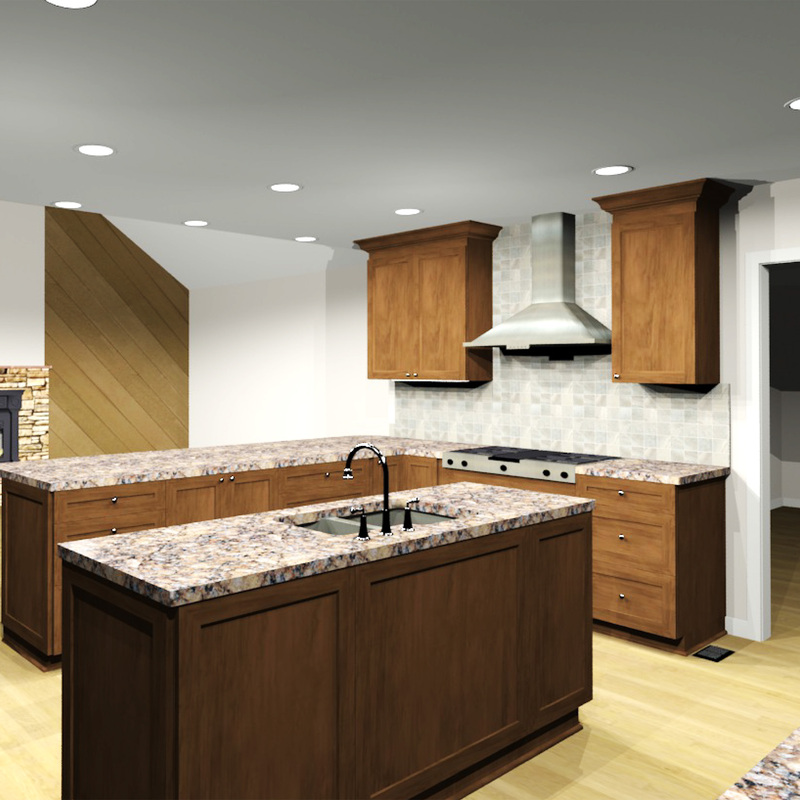 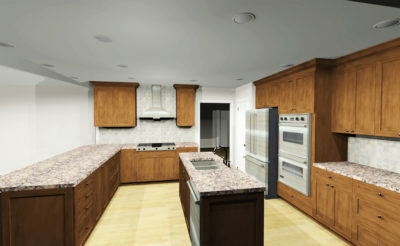 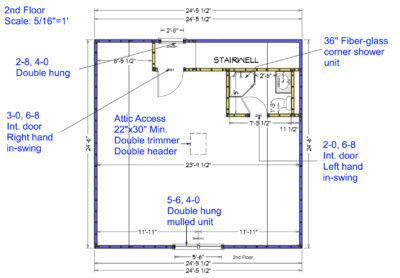 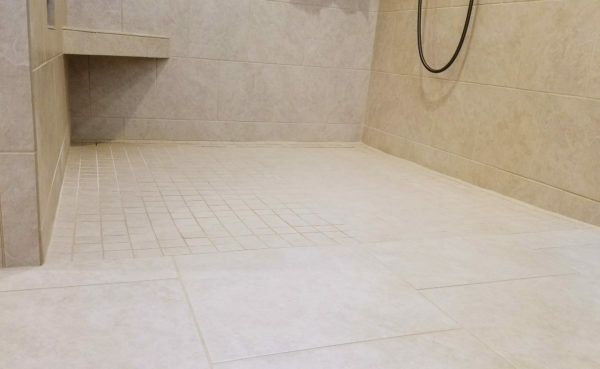 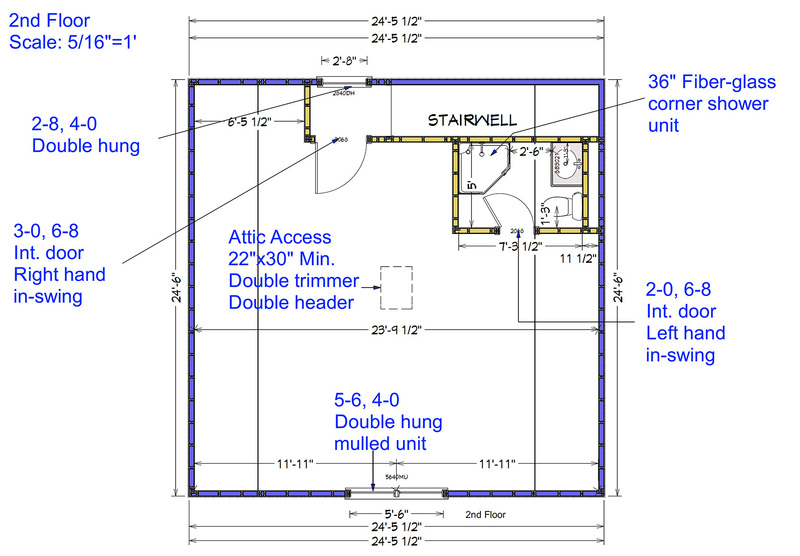 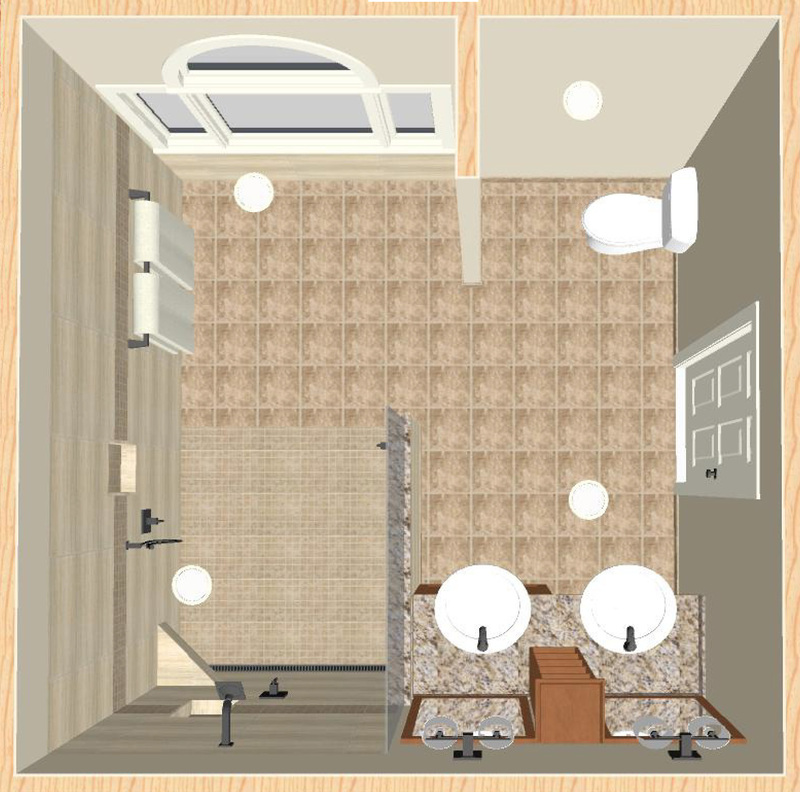 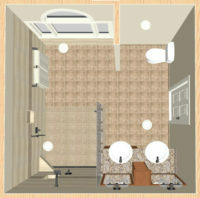 Accessible remodeling projects are essential to Aging-in-Place or staying in your home when the unexpected happens. 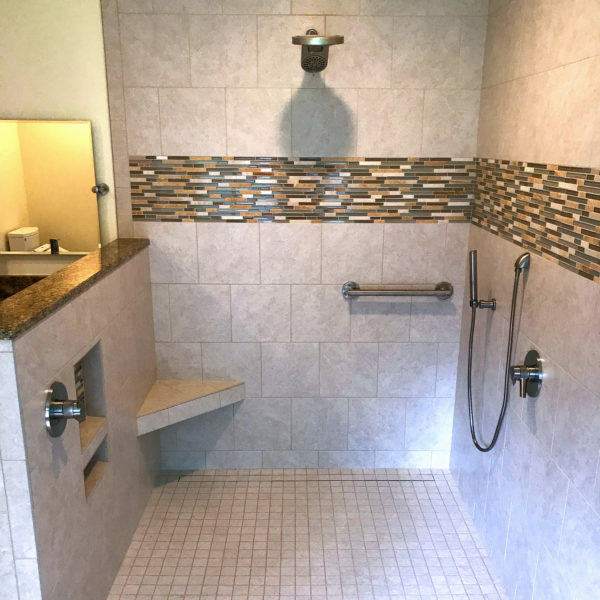 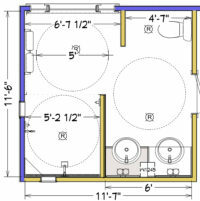 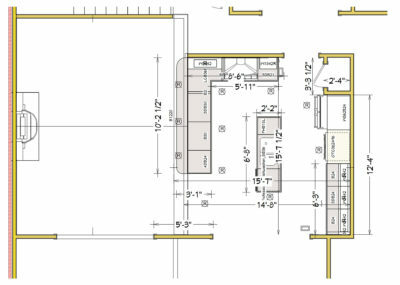 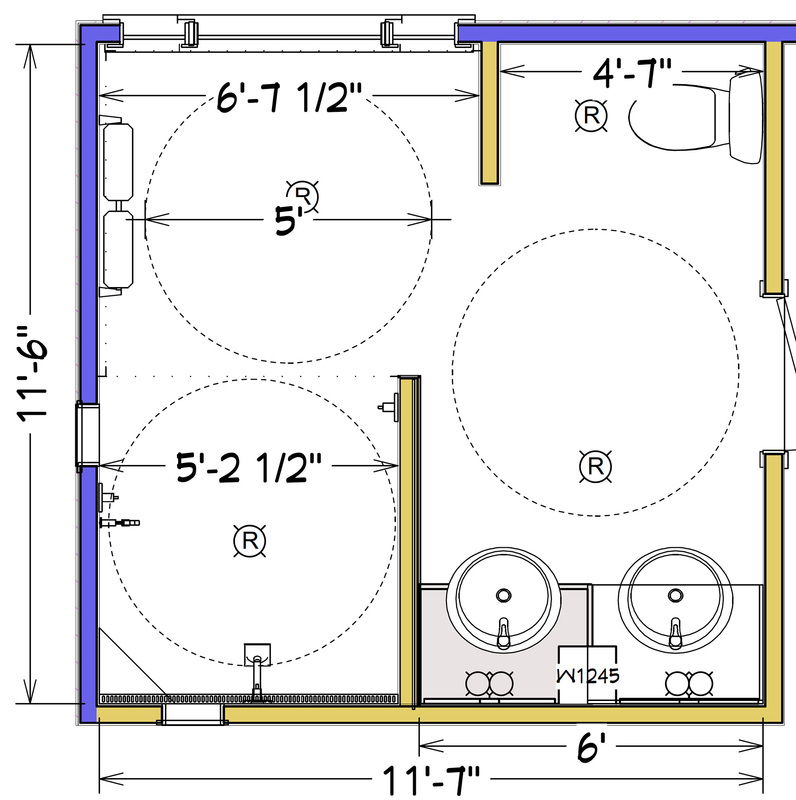 For the Ludwigs’ bathroom, we designed a large walk-in tile shower with a linear drain to accommodate Ms. Ludwig’s chair, installed a Kohler® wheelchair accessible sink, and applied a 60″ wide rule throughout to allow for her chair to turn all the way, giving complete mobility and access to all areas of the bathroom, from the toilet to the shower to the vanity. 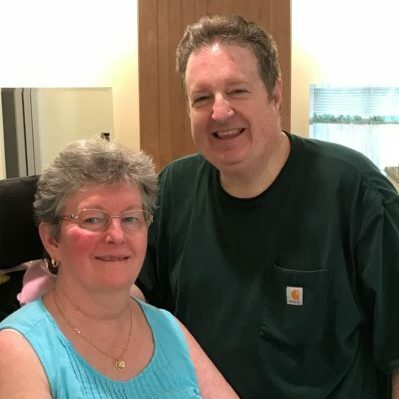 “All the decisions we made were with the idea that as we get older, we’re going to need more assistance” – Keith and Sabrina Ludwig, Chesapeake. 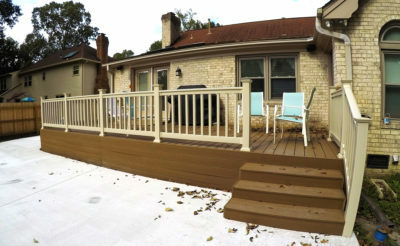 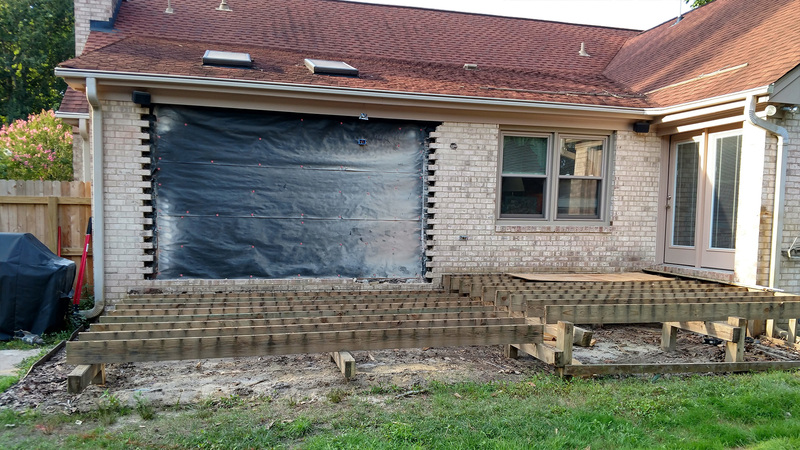 To provide access to the back deck, the Ludwigs’ home required a partial remodel of the sunroom, including removing a step-down into the sunroom and leveling the floor. 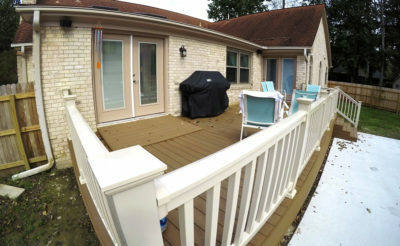 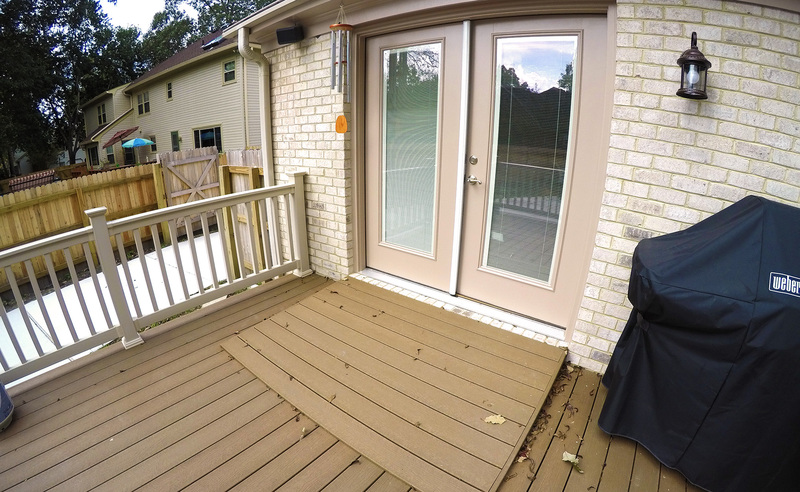 Through French doors, a ramp leading to the deck completed the process of ensuring Ms. Ludwig’s easy access to view the backyard. 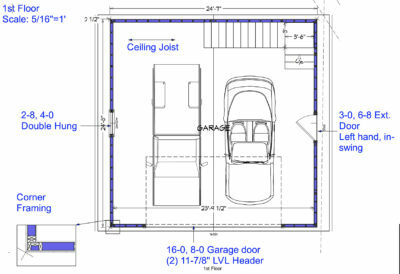 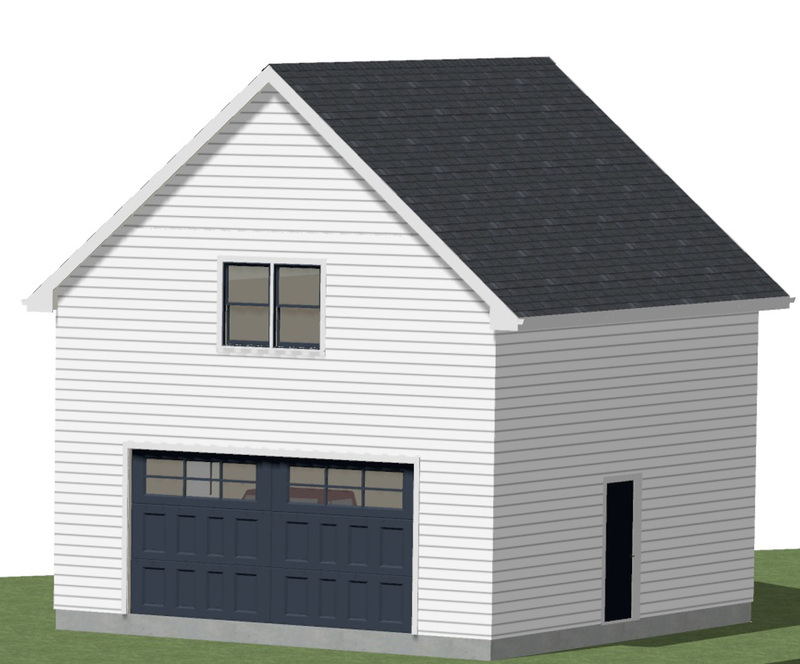 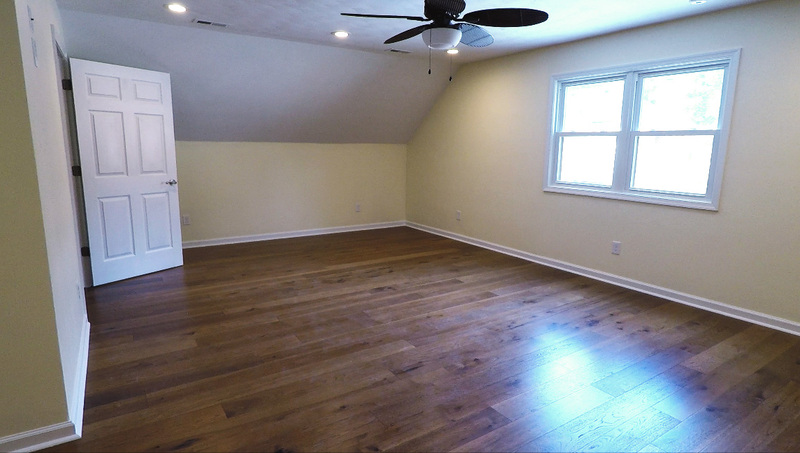 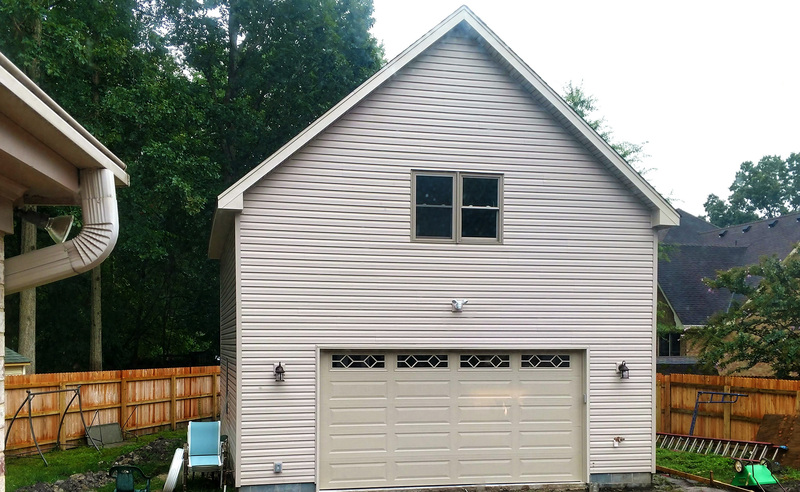 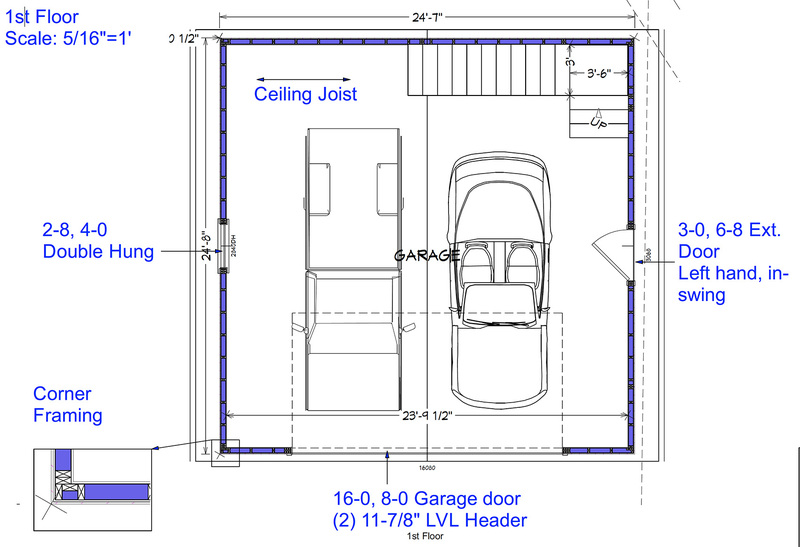 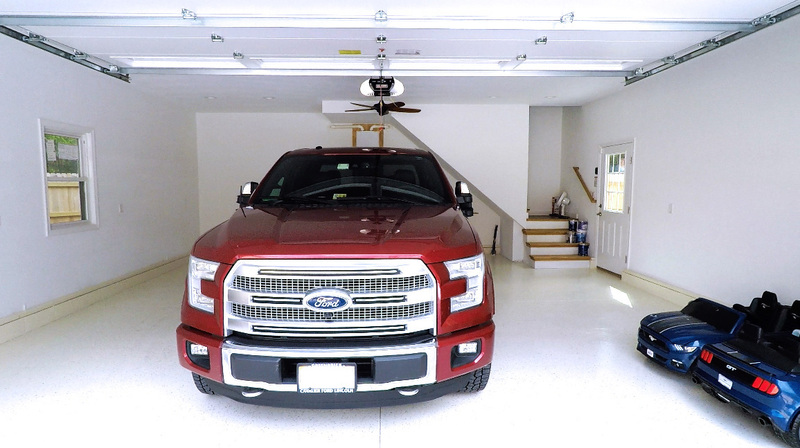 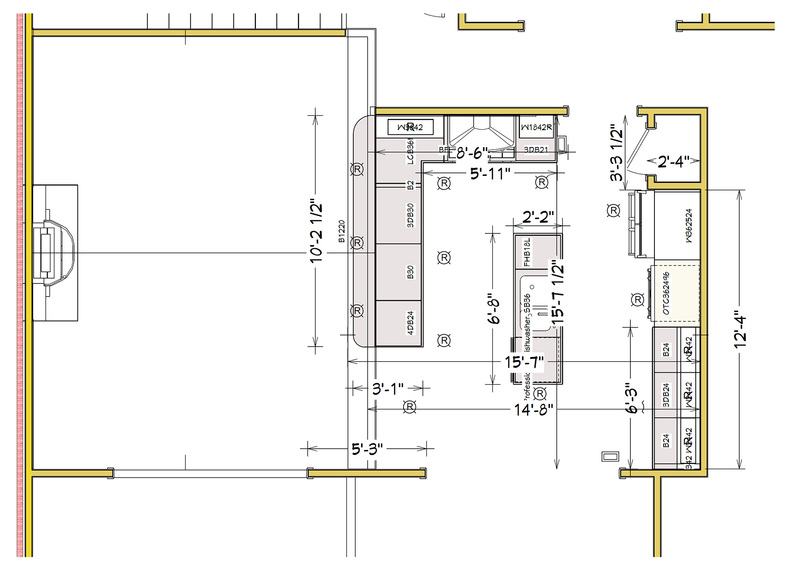 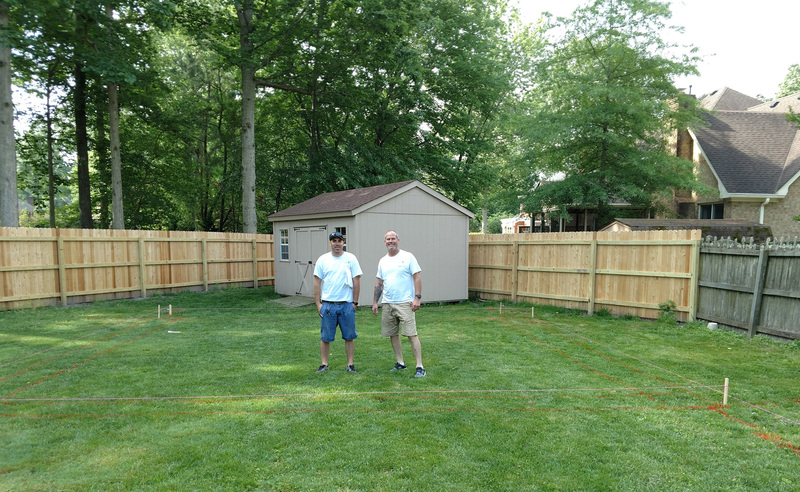 As the Ludwigs plan to stay in their home, they thought it wise to build a detached garage with a second-floor living space, in case their needs ever require live-in assistance. 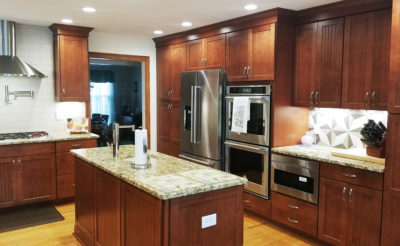 Jerry Harris Remodeling is a Certified Aging-in-Place Specialist serving South Hampton Roads since 1985.